I know I just published the Publishing Schedule article like… less than a day ago. Oh well. Okay, completely impromptu post time! So… after writing the How Much Exactly Is 2.0 mg/cm^2—The Amount of Sunscreen Necessary to Achieve the Labeled SPF Rating? post, one of the readers suggested that I tell people to buy a 1/4 teaspoon just to see if they’re using enough sunscreen. Well, I’d never recommend something to you guys that I wasn’t willing to try myself. 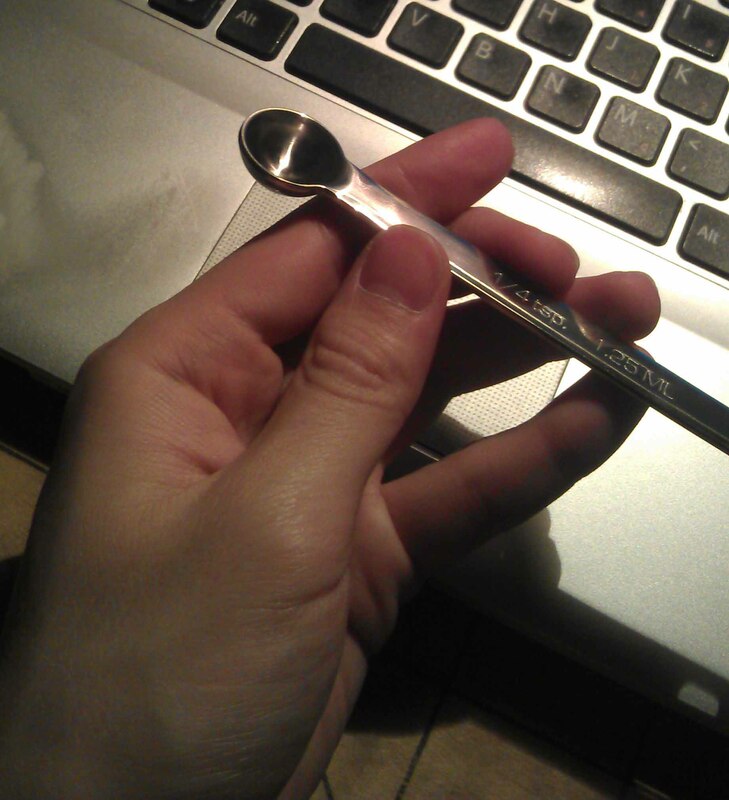 Therefore, I went out and bought a pretty stainless steel 1/4 measuring spoon (ooh shiny!). ASD:ALKJD:ALKSDJ!?!?!? @#$@#%@#%@#! IT’S SO FREAKING SMALL!!! Uh…. yeah. What a BABY! I completely expected to see this giant spoon and sigh in regret, realizing that I applied way too little sunscreen in the past. But NOPE. This thing is TINY! I mean, it’s good and all that I’ve been applying at least 2.0 mg/cm^2 in the past. But seriously?! How can people NOT use enough sunscreen?! Several large-scale surveys and studies (I’m too lazy and busy to find them) have demonstrated that most sunscreen users only apply 0.5-1.0 mg/cm^2; basically one-quarter to one-half the amount of that TINY object… HOW IS THAT EVEN POSSIBLE?! At those amount, there wouldn’t even be enough sunscreen to evenly spread across the face! It’s the size of a letter on a keyboard. Let’s go soldiers!! Let’s make sure EVERYONE uses enough sunscreen! Okay that’s it. I hope you enjoyed all the adolescent punctuation marks. My recommendations to you, is to definitely buy a 1/4 measuring teaspoon! I hope it’s as shocking of an experience as it was for me, and hopefully in a good way! 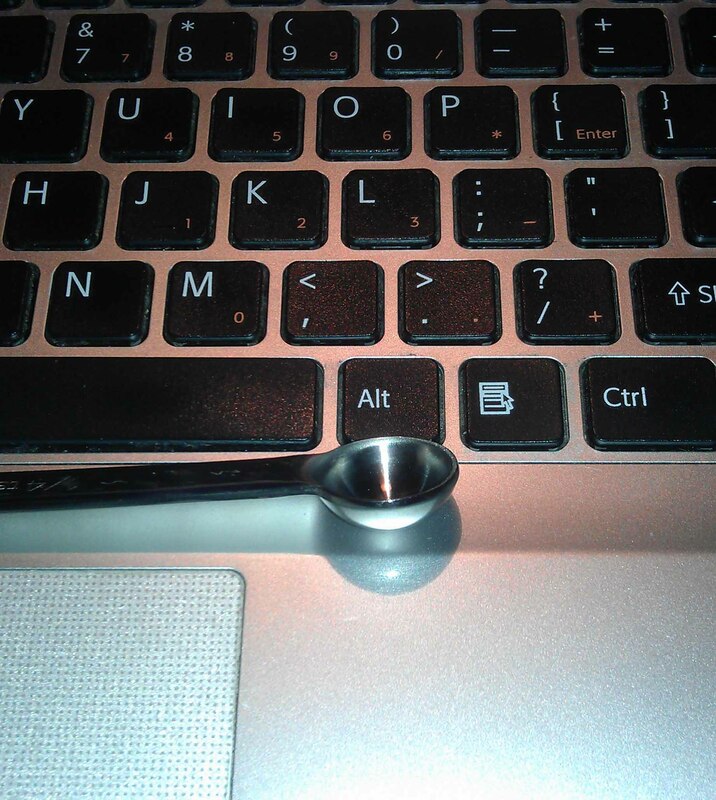 And please tell all your friends and family members to buy a 1/4 measuring teaspoon, too! Actually, it’s 1.25 mL, not teaspoon or tablespoon. And 1.25 mL converts to approximately 0.25 teaspoon. Where can I buy a quarter teaspoon from? I recently bought a 1/4 measuring tsp for this. Omg, it’s way more than I ever use. I typically use 2pumps or maybe even 3 pumps of cerave am lotion with spf. That right there is already a lot. It takes 6 complete pumps to fill the measuring spoon. I have a big head with a big face and it took some time to rub all of this into my face and not be coated in white. Well im glad to know that Im not using enough. Im going to up the amount I use for now on. It is a lot. But nice work for sticking to it. Do the best that you can! I definitely use more than 1/4 teaspoon on just my face. Than I use another dollop for my throat and visible chest area. I also have combination skin that just seems to get super oily/sweaty when the weather get’s too humid. (I’m extremely sensitive to humidity.) I find that for me, letting the sunscreen “set” on my face, as in don’t apply any other products on my face for a good 15 minutes, does the trick. However – I was wondering if you could possibly write about melanin and sun exposure and the minimum required time to be exposed to the sun for Vit D. As a darker skinned individual, I am very grateful for my all natural “sunscreen” but I’m constantly worried that I need to supplement and get more Vit D and I wonder if I need to purchase such high SPF products or if I could get away with a lower concentration of mineral/chemical sunscreen chemicals. Also – if any sunscreens are mentioned, I’m sure the darker skinned readers would appreciate knowing if the product will give a “caspar” effect. Trying to find a cheap mineral based sunscreen is the bane of my life. I dislike the whitish cast and I hate wearing foundation (to mix in to subdue the effect). That’s great to hear! I also find that waiting an (obscenely) long amount of time, considering how little time is available to get ready in the morning haha, really does do the trick when it comes to using so much sunscreen. Good work! I will definitely be writing about the whole vitamin D debate. But the gist of it is that you can easily get your vitamin D from your nutritional intake. And since vitamin D is most common is fish–something that you should be eating anyways for their healthy protein and oil content, it isn’t difficult to get your daily vitamin D. It’s a much better way of getting it, rather than staying in the sun. But since you asked, most studies show that being exposed to about 10-15 minutes of unprotected sun at noontime is enough to trigger adequate levels of vitamin D synthesis in the skin. But I still don’t recommend doing that. Also, I will be indicating which inorganic sunscreens have/do not have a white cast, depending on whether or not I’ve actually tried said products. So no worries! I had to switch to Feedly since Reader is gone and I’m not up to date on any blog. But omg that is so tiny! Your blog made me realize I was using some sunscreens with avobenzone and octin-something. At least I was applying about 3 times more than I needed! Whoa! Are you sure you’re applying 3/4 of a teaspoon to your face?! Because I can’t even imagine doing that. 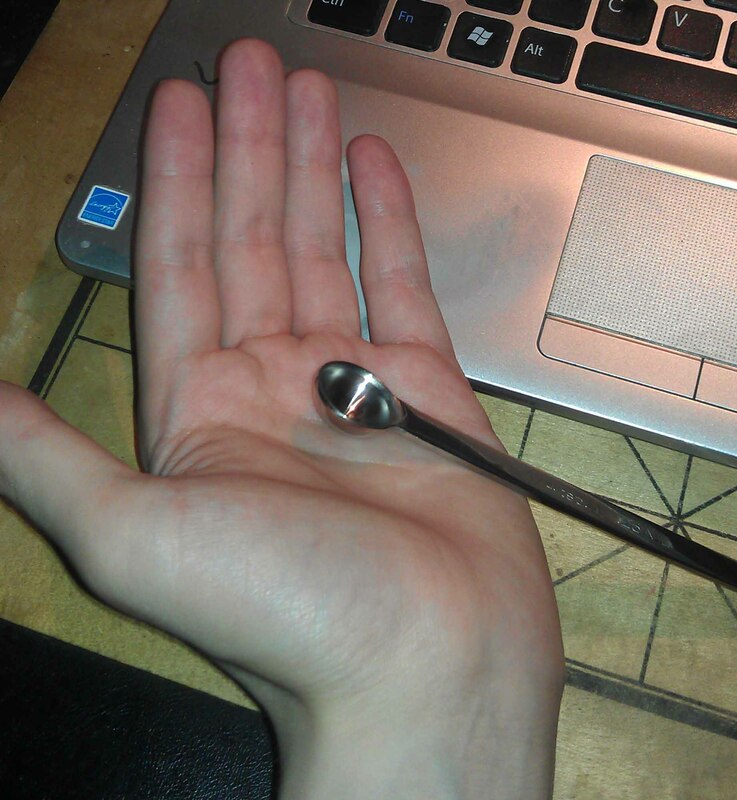 Are you using a 1/4 measuring teaspoon, because the actual tool is deceptively small. The amount of sunscreen is still quite generous. As for using Feedly, have you considered switching to bloglovin’? While I haven’t used it myself, I’ve heard good things about it. In fact, I apparently had around 20 followers using it before I even knew about it. LOL! Glad to see you comment. It’s been a while! I have been for my face and neck and ears, sure. I’ll check out Bolglovin. Thanks so much for the website to more accurately calculate SPFs. That’s still a lot of sunscreen, but understandable since most women expose more of the collarbone area than men. Hence women need to use more sunscreen. My (T-) shirts are typically pretty snug around the neck. But yeah, I use 1/2 of a teaspoon for my face, neck, and ears. Keep up the good work! For those of us with incredibly oily skin, I would like to point out that this is not as tiny as it seems and the “I don’t understand how anyone can NOT apply this” attitude comes off as condescending. Most sunscreens are very emollient. My skin is very oily, so emollient + my face =/= ease of application. My skin simply doesn’t like to absorb that much product at one time, so I’m either left with a thick layer of product sitting on the top of my skin that will never sink in, or I have to decrease the amount I use. I have no idea what your skin type is or what sunscreen you use or anything like that, but I find it weird that you cannot imagine that applying 1/4 teaspoon of product being difficult for *anybody*. I don’t apply less than the recommended amount out of ignorance or laziness; I do it because otherwise I will have a puddle of grease all over my face for the entire day, and I can’t function like that. I apologize if I came off condescending; it was not my intent. I was just so shocked when I received it on the mail. I was like, “WHOA, it’s so small!” But really, it’s still quite a bit of sunscreen when you scoop it all out. So I get how it can may still seem like a lot of product. That being said however, I too have extremely oily skin. I mean, I had horrible acne for about a decade of my life, so I know where you’re coming from. However, I can still quite easily apply 1/4 teaspoon of a rather emollient sunscreen on my face, and make things works. There are definitely sunscreens out there for our skin type. You just have to look hard enough. I hope that makes sense, and again I apologize if I seemed rude or DIVA-ish. Haha. I also hope to see more of your comments, because readers like you–who respectfully point out things they don’t like, play a crucial role in keeping this site at its best. Oh wow. I knew you listened to readers but when I checked your blog for help on figuring out a sunscreen, I didn’t expect a separate post devoted to buying a 1/4 teaspoon. Thanks for doing this! (And your hilarious commentary made me smile. ^_^) Knowing the correct amount is helpful bc I apply a couple layers of different products to my skin and it’s reassuring that I don’t have to slather on a very thick layer of spf to keep my skin protected. Thanks again. Now–I have to get back to finding a sunscreen for face that’s 80 min sweat/water-resistant for my acne-prone combo sensitive skin for when I’m outdoors. I’m considering the Neutrogena Pure & Free Liquid but 5% TiO2 and 3% ZiO2 just doesn’t sound right for spf 50…and the baby sunblock stick version of it isn’t much better either. I don’t remember what type of sunscreen you were looking for, if you ever told me. If you’d like suggestions, let me know the details. Although… you could always just wait for the humongous sunscreen series, which will include ~100 product recommendations, that’s coming in mid-August. Haha! Hey John, do you think the absorption of the sunscreen by our palms when we are applying it is significant? Nope, you don’t have to worry about this. The layer of dead skin cells (the stratum corneum) on your palms is significantly thicker than that on the rest of your skin, with the exception of other frequently touched parts like the soles of the feet, etc… It’s this layer that prevents most things from getting into your skin. Lol! But seriously, do the best that you can. It really only takes 30-60 seconds extra for me. And I in no way have a lot of free time unfortunately. So I imagine that if I can do it, so can most others. I know, that was my first reaction! But I’d definitely still recommend that you pick one up, because when you fill it all the way and pour it out on your hand, it’s actually a lot more than you would think. You DEFINITELY would not want to apply that much “traditional” foundation, or you’d look like a cake face! For example, with the Lancôme Teint Idole, it takes EIGHT full pumps to fill up the entire 1/4 teaspoon, and that’s definitely way too much, On average, I’d use about 2-3 pumps to do my whole face with that foundation. As for BB and CC creams, it just depends on the coverage each one gives. yikes! damn! idk, even with the missha signature bb cream, i use around 3 pumps despite nearly full coverage (i do not mix it with a sunscreen). i sit around after to let it oxidize before i set it with a darker powder. but even so, im beginning to think that the missha signature bb cream is too light for me and i’d have to let it go. sigh. i think it might work for you though, but it is rather creamy, and i apply nothing but the foundation and powder only. beautypedia said it’s more suitable for dry skin. i’ll let you know if i do try anything new! I didn’t know Beautypedia reviews Asian brands… are you sure? hehe it’s a ‘special edition’ review =P it just happen that this is the only purely IOS-based bb cream from missha and i thought i could work off the darkest color so i managed to get my friend to get me one in hk (it’s cheaper there)! =D speak of coincidence! Too bad the %s aren’t listed. Oh well. I’m a bit confused here, I recently bought Avène’s Cleanance SPF30 sunscreen and the info states that Avène recommends to use SEVEN pumps when using a 50ml with pump product only for the face and neck, which is the case with this one. SEVEN! As the neck has quite surface for the face alone I use four pumps (also it is the maximum I can bear as more gets waay too greasy) and let me tell you I think just one pump seems to be far more than that tiny spoon! I always aimed to use something near to half tablespoon of sunscreen daily, this seems to be so little. I completely get what you’re saying. I was like… the necessary amount is that little? But keep in mind that the 1/4 teaspoon is only enough sunscreen to cover JUST your face (on average). You need (on average) another full scoop for your neck. But hey, if you are okay with applying more, good for you! You can never get TOO much sun protection! Lol! I don’t usually have time to appreciate having my “precious,” but it’s nice to know that I apply way too MUCH rather than too little sunscreen. 🙂 And I’d rather just measure it out twice, rather than eyeball it. Me <<< OCD about being correct. Haha. Oh don't worry, I'm definitely going to nag away! This is something I’ve been wanting to buy for a while, because I suspect I’m not using enough sunscreen despite slathering it on everyday. It looks so shiny! Oh, I hadn’t thought about that! Do you powder to set the sunscreen (so it wouldn’t move)? Is it needed even over water resistant sunscreens? It’s just because I’m using inorganic sunscreens, and they tend to be very drying already. Powdering might make it worse. Oh I DEFINITELY powder over my sunscreen since I have really oily skin; it helps set everything: from the sunscreen to any concealer/foundation that I apply over it. As for whether or not you NEED powder, that really depends on how you like the finish and longevity of your “face.” If your sunscreen really stays put and doesn’t budge throughout the day, then you can use powder just to temper down the shininess. In this case, you don’t have to use a super matte and/or long-wearing powder, but one that just blurs everything a bit–just so your face isn’t so obviously shiny. And I agree about the dryness of inorganic sunscreens; they tend to accentuate any dry skin–something that I had to deal with the past two years. Boo! Finally, of course I use a powder with a LOT of inorganic UV filters listed in the active ingredients, just because it’s my philosophy and belief that, no matter how gently you apply powder and how transfer-resistant your sunscreen is, when you sweep on powder with any application tool, you will be removing some of the sunscreen. So you need to replace that lost amount with another “sunscreen.” This time, it’ll be in the form of powder! Wow. Thanks! Yeah, when I wrote that, I didn’t really acknowledge that I needed to stop writing for them, at least temporary. But looking back, it was definitely the right decision. And as you saw from the Scheduling post (or I hope you did), there will be a LOT of posts coming; so many that you’ll probably see me as spam. 😉 And you can always reach me here, and via the other contact avenues (Facebook, Twitter, and email). Oh, I guess I wasn’t very clear and I apologize for that. I turned in a letter of resignation to Nicki; I fired or anything like that. As stated in my last post for FutureDerm, I just needed more time to focus on my blog and my personal life. 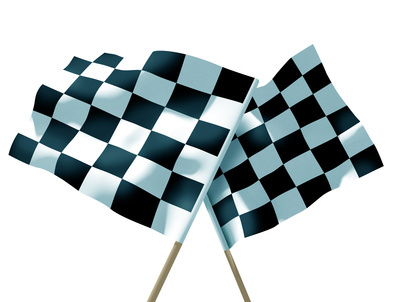 When things slow down a bit and the blog is “complete,” I may consider going back. But we’ll see. So, if anyone is concerned that they are not applying enough sunscreen , buy a 2ml sterile syringe and extract 1,25ml, put it in your palm and remember how much to use next time 🙂 easy ! Actually, your first comment did go through! But I’ll just approve this one since you spent more time writing it.